Students at Lincoln Elementary School in Oakland, named one of the top 10 schools in Oakland with the lowest achievement gaps. This story was updated to include a clarification regarding state-level comparisons. The gap in test scores between low-income students and those economically better off grew nationwide from 2011 to 2014, according to a report released last week in Washington, D.C. However, in a statement issued Tuesday, the organizations that crunched the numbers warned that comparisons between states could not be made because their methodology was based on the overall percentages of students who qualified for free and reduced priced lunches, which varied from one state to another. California had two of the country’s top 10 cities with the smallest achievement gaps – Irvine and San Francisco – based on an Education Equality Index released by the nonprofit Education Cities, an organization that supports cities interested in improving public schools, in partnership with the nonprofit GreatSchools, which provides resources to parents about schools. The index is comprised of school-, city- and state-level data from the country’s largest 100 cities, including 21 in California. Among the cities in California with the lowest achievement gap were Irvine and San Francisco. The other California cities studied were: San Diego, Fremont, Chula Vista, Fresno, Santa Ana, Modesto, San Jose, Oakland, Long Beach, Los Angeles, Anaheim, Bakersfield, Riverside, Sacramento, Fontana, San Bernardino, Moreno Valley, Stockton and Oxnard. 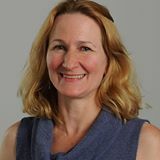 The index measures achievement gaps based on free and reduced-price lunches and does not take ethnicity into account, said spokeswoman Christine Schneider. This is because some states do not collect detailed demographic information about students. However, she said new Common Core testing does include racial and ethnic data, which will help to track achievement gaps in those categories in the future. Because California suspended standardized testing in 2014, the index’s calculations repeated scores from 2013 for 2014. In Oakland, the data showed only two of every 10 students from low-income families attended schools that were closing the achievement gap. 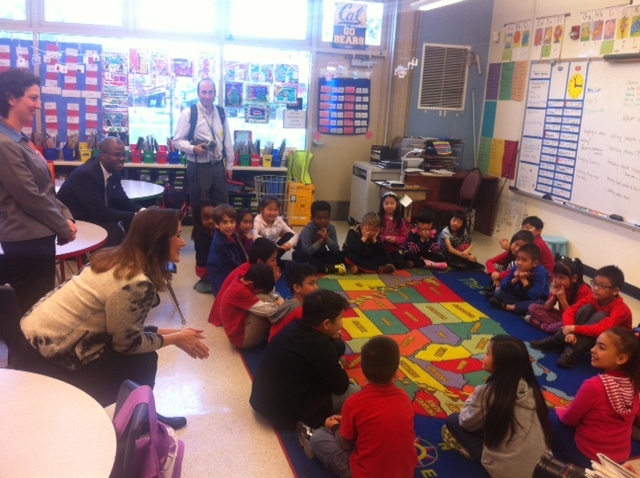 One of the top 10 schools with the smallest achievement gap identified in the report was Lincoln Elementary, which Mayor Libby Schaaf and Superintendent Antwan Wilson visited Thursday to congratulate students and promote the “Oakland Promise,” a new citywide effort to improve schools. Oakland ranked behind nine California cities and ahead of 11 others within the state, including Long Beach and Los Angeles. “These results affirm why we are pushing with a sense of urgency to make real change on behalf of our mostly lower income, minority students who are not receiving the education they deserve,” Wilson said in a news release. Thank you, Caroline, for pointing out the what has been well documented year after year; that SFUSD has a large not a small achievement gap. For at least the last 10 years it has been the worst with the exception of one year when it was second worst among urban districts. This article report about the Education Equality Index would have us believe it has one of the smallest achievement gaps and nothing could be further from the truth. And speaking of truth, is it so un-PC to point out the poor scores of some disadvantaged minorities that it bears issuing a warning to readers just to do so? If politically correctness means not speaking the truth and not reporting the facts, we all lose. And what is that truth? Disadvantaged Latinos and African Americans are on average doing very, very poorly academically and disadvantaged Asians perform exceptionally well, though the Education Equality Index might say otherwise. The Education Equality Index didn’t say otherwise; rather, it failed to take note of confounding factors. As noted, I believe that the press shouldn’t report on studies at all if it doesn’t have the wherewithal to examine and question them, and illuminate issues like that. The statistical logic of the EEI conflates two very disparate factors, SES and race, to arrive at a false conclusion: Economically disadvantaged students are doing better in SF and Irvine. They’re not, at least here if SF, with the exception of Asians who confound the poverty=low-performance rationale. So, yes, the EEI does say otherwise in the sense that it does not identify the real outcomes, instead turning one of the worst performing districts into a fantasy football-like win. SFUSD needs to stop celebrating a statistically-driven phantom success made possible solely by a large Chinese population and face the reality that it’s policies have failed. Having the media promulgate the myth does not help it in coming to grips with that reality. SFUSD poured millions of dollars into many Superintendent Zone schools and only a few showed any real signs of improvement. It was another costly reform that was quietly discarded to history’s trash heap of failed reforms – another example of how the little talked about $5.5 B School Improvement Grants scam failed in yet another district. All ratings of schools and districts correlate with their demographics, except with selective schools (whether openly or deceitfully, sneakily selective). So those criticisms of SFUSD apply to all districts that boast of impressive results. The bigger question is should we even be doing these comparisons when it’s all about the demographics. There are two reasons why SFUSD has a large gap: The ethnic non-Asian subgroups underperform state averages and the overperforming Asian subgroup is four times the state size, though it underperforms, too. Here are the numbers: As of 2013, African Americans, Hispanics and Asians underperformed the same statewide ethnic groups by -78, -48 and -32 points, respectively. Only whites outperformed by a considerable 42 point margin, though it is about half the relative size. With that exception, SFUSD performs worse than any other large urban district. That’s why Ed Trust rated it last place. A point that leaped out for San Franciscans and is challenging to discuss. Un-PC alert for those who are uncomfortable discussing race, but here goes. Some Asian “subgroups,” overall on average, are very high academic achievers, even in the case of low-income and limited-English students. Here in San Francisco, Chinese students are the plurality “subgroup” in our school district and the highest academic achievers as a group — even when they’re low-income. I haven’t delved into that study closely, but I note that it looked at income and not race. But that demographic reality explains why low-income students in San Francisco average out to be higher achievers. It is a problem that anyone writes about this and fails to explain that. I haven’t looked up Irvine’s demographics (it’s 500ish miles away), but it wouldn’t be surprising if it were a similar situation. Also, when race IS factored in, SFUSD has a large achievement gap. But there are also explanations that confound that — for one, San Francisco has famously almost entirely lost its black middle class due to housing prices — you can simply get far more house and land for the same money even in fairly posh suburbia. Should the press even report on studies like this without the wherewithal to delve into them? I actually don’t think it should. Sending misleading information out into the world isn’t a good thing. This comment from the report helped me understand better what they are calculating. In 2013, 5% (13 of 260 individuals) of African American 7th Graders in San Francisco who are on free or reduced lunch were advanced or proficient in math. 23% (13 of 58 individuals) of African Americans who were not on free or reduced lunch were advanced or proficient. In San Francisco, the vast majority of African American kids are low income, but even those that weren’t did worse than Asians who were low income. All stats below are for 7th graders. For Latinos, 11% (77 individuals) of low income/free/reduced lunch were advanced or proficient, vs. 25% (39 individuals) of non-low income Latinos, meaning the vast majority of Latinos are low income, or on free or reduced lunch. For whites, 24% (25 individuals) of low income/free and reduced lunch whites were advanced or proficient, vs. 57% (153 individuals) of non-low income whites. This means about 3/4 of the whites were not low income, or on free and reduced lunch. The biggest group in San Francisco is Asians, and here’s why this report is misleading. 47% (448 students) of Asian kids on free and reduced lunch were advanced or proficient. 62% (318 individuals) of non free/reduced lunch Asians were advanced or proficient. This means most Asians are low income in San Francisco public schools. So we have a situation where low income Asians are about twice as likely as non-low income blacks and Latinos to be advanced or proficient. Low income blacks and Latinos are at 5 and 11%. These are the groups we really need to help. Asians historically are only in poverty in the first generation, which makes it far less pernicious than white, Latino or black poverty, which often continues for many generations. Low income Asians show a path others could follow to limit poverty to a generation. For San Francisco to impress me, the district should get low income black and Latino kids, and white kids, up to that 47% figure. How? Tutoring. Parent education. Maybe hold kids back a year if they don’t pass; make sure they know there are minimum requirements to advance a grade, have mandatory summer school and Saturday tutoring for kids who aren’t advanced or proficient. These stats show it’s not SFUSD, but Asian families, doing things unheard of among the low income of other subgroups, which makes SFUSD look good in this statistic. The report is misleading. It implies San Francisco is doing a great job of educating poor children and convincing them to work hard in school and providing them support they need. It is not.It is merely a statistical coincidence. As for choosing 7th grade, this is consistent across grades. It gets worse in high school.